Terminal 49 is a SaaS company currently serving businesses in the shipping industry for import goods. They offer a web application as a solution to consolidate and streamline the logistics of the drayage journey; namely, the journey of moving cargos from seaports to warehouses. I worked on a team of 8 designers. 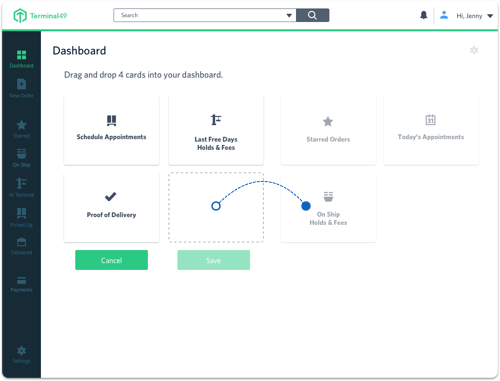 I took on researching the drayage logistics, ideated solutions for a universal dashboard for different users, and designed the navigation tool bar. This web application is heavily data driven. Its success hinges on its capability to allow users quickly access the information they're looking for. 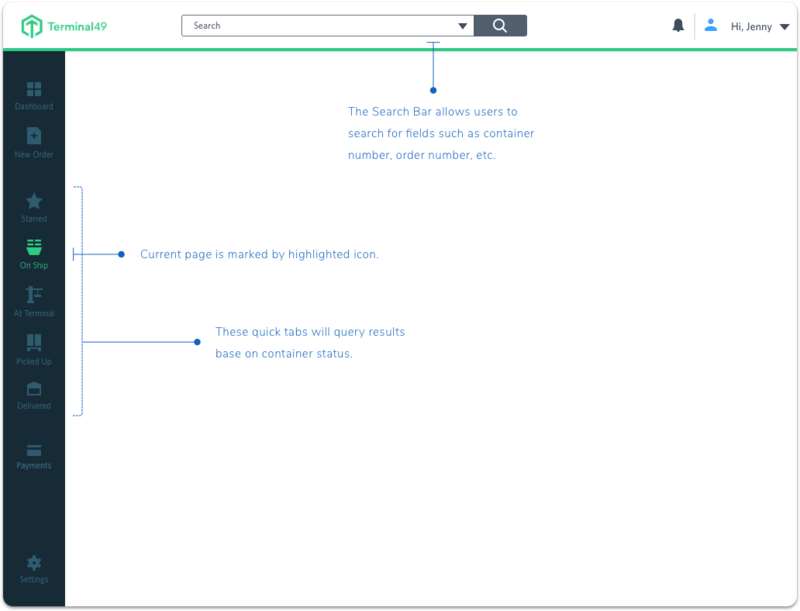 We design a side-navigation menu that included shortcuts to queries that are used often. 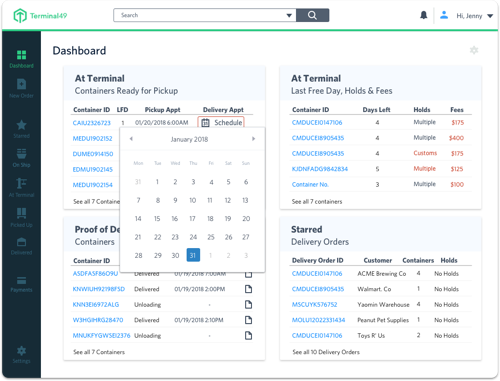 Due the complex nature of the shipping industry, users have very different use cases and prioritize information very differently. Therefore, a single layout could not be optimized for all users. We decided to create a dashboard that would allow users to customize it themselves. In Settings, user can drag and drop their desired fields into dashboard view. 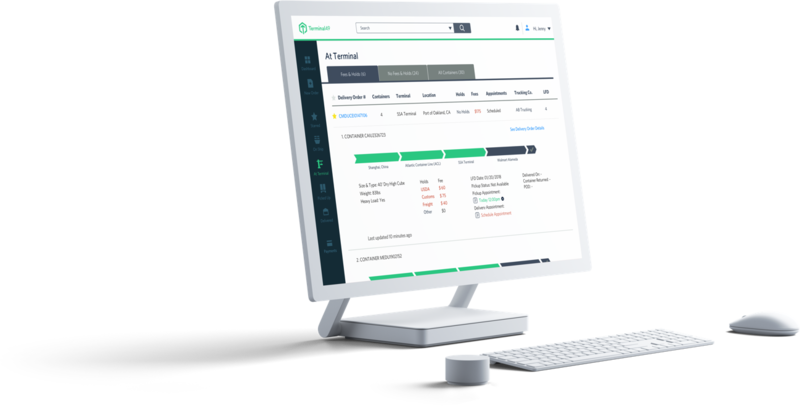 The customized dashboard prioritizes for containers that need immediate actions. When users visit the app the first time in a day, they would know upon first glance what they need to do, and what their priorities are. The app is designed so that many actions would be able to be resolved on screen. I developed a set of icons to be used on the dashboard. They are to be used as visual anchors in categorizing containment status.